Is there anything in the whole wide world of motoring quite as cool as side-exit exhaust pipes? The question is, of course, rhetorical; there is not. And now, 2015-’17 Ford Mustang GT owners have the option of installing a sharp-looking Side Exhaust kit from Cervini’s Auto Designs. The Cervini Side Exhaust kit is compatible with all 2015, 2016, and 2017 Ford Mustang GT premium fastback models, according to the company. The kit ships with a pair of matte-black side skirts and 3-inch MagnaFlow mufflers, with a 3-inch exhaust made from 304 stainless steel by American Racing Headers. 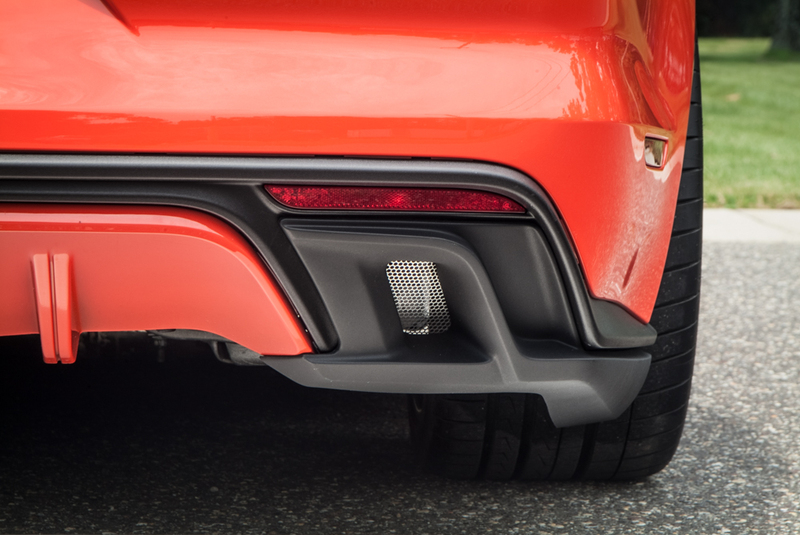 The exhaust tips are ceramic coated for a durable, stealthy finish, and a pair of matte-black inserts clip into the rear of the car to mask where the factory exhaust tips once exited. Cervini’s Side Exhaust can be had now for $1,999.99 from the company’s website, with shipping included free-of-charge. We’re still waiting for an audio sample, but we’d guess this kit would be far louder – and meaner-sounding – than the Mustang GT’s factory exhaust. Before you spend the money make sure it is legal in your state. Some states do not allow any modification of the exhaust location from where it was on the vehicle when it was produced at the factory. It also looks like it might create some additional clearance problems when going over speed bumps or down sharply angle slopes.